TTPost Couriers was introduced in 1999 and was geared towards providing a medium through which corporate and non-corporate organizations and / or individuals could move a variety of items in a safe and secure manner within the Twin Island Republic. This service offering provided an express service, allowing companies to access desired delivery points nationwide with very little investment. It provided (through sales at our retail outlets nationwide) an express service that the general populace could access to send documents and parcels domestically. 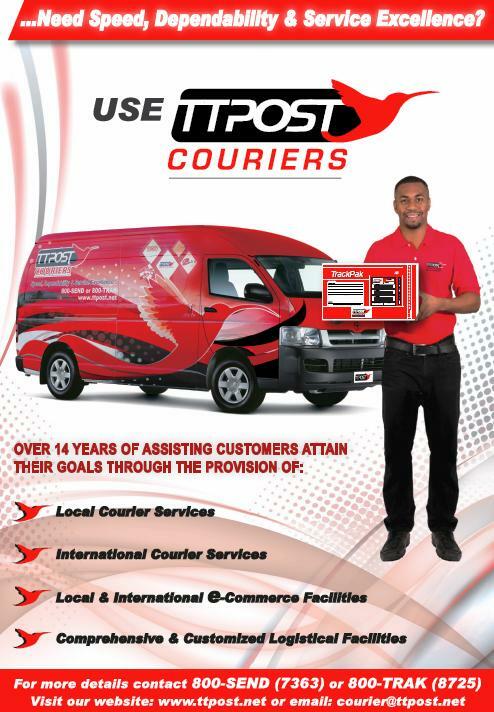 TTPost Couriers today is a vibrant innovative organization with a fleet of over 50 vehicles traversing the length and breadth of Trinidad & Tobago. Our logistics solutions adequately meet the demand of the business community by offering a next-day delivery service throughout the length and breadth of Trinidad and Tobago. TTPost Couriers is effectively equipped to provide logistical solutions to any existing modern business challenge. 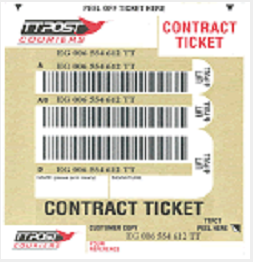 TTPost Couriers expanded its arsenal of logistics solutions with the addition of three international services; International Courier (serviced through DHL) with a logistics presence in over 200 countries worldwide, Express Mail Service (EMS) allowing for an economy express service through the mail and, Internet Shopping Services (serviced through Hummingbird Express) which provides its subscribers the ability to access US goods online. TTPost Couriers Local Courier Service is a premier service that offers its customers the ability to economically and reliably send and receive items to and from its stakeholders nationwide. This service is supported by a comprehensive and robust delivery network unsurpassed in the Trinidad & Tobago market. Added to regular Business-to-Business (B2B), Business-to-Consumer (B2C), Consumer-to-Business (C2B) and Consumer-to-Consumer (C2C) services, Local Courier has expanded its service offering with ecommerce in mind. Large corporate customers, SME’s and micro enterprises with an online presence, have an end-to-end solution in TTPost Couriers as the service offers B2B and B2C courier delivery with pickup options for customers’ products which are sold online. If you have a regular requirement to send documents or packages nationwide, for example branch-to-branch, B2B or even B2C, then take advantage of the following benefits by opening a TTPost Corporate account. Register now sending your contact information and a request to courierinfo@ttpost.net and one of our dynamic Accounts Executives will call to assist you. Attention – A contact person is required. A designation can also be used. Complete sender’s address details on reverse of TrackPak. Place the item or document in TrackPak and seal the flap. Remove “Customer Copy” bar-coded sticker. This is to be retained as the unique bar code can be used for tracking the item. TrackPaks purchased at retail shops are to be deposited at the nearest TTPost outlet. TrackPaks purchased through a corporate account will be picked up via a courier. Call 800-SEND or email pickup@ttpost.net to schedule your pickup. Parcel Tickets are used for packages which are too bulky to send via our TrackPaks. There are a variety of tickets which are used depending on frequency or use, volume, weight as well as well destination of your parcel. “Within Island”, “Island to Island” and “Local” tickets (along with their respective “Excess Weight” tickets) are used by both retail and corporate customers with medium to low volumes and frequency of usage. Excess Tickets are affixed to packages along with respective Parcel Ticket when an item weighs more that the allowed Parcel Ticket weight; e.g. 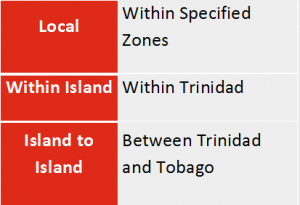 An item weighing 10kgs going from Trinidad going to Tobago will require one “Island to Island” ticket and one “Island to Island Excess Ticket”. “Contract Tickets” are specifically for corporate use and for those customers that require a tailor made solution, high volume or high frequency services. When your item has been properly packaged and addressed, affix the entire sticker onto the item and remove the “CUSTOMER COPY”. Retail customers can lodge their prepared items at their nearest TTPost outlet and corporate customers can call 800-SEND or email pickup@ttpost.net to schedule a pickup. The Satchel Service is used for secure regular movements of bulky items between multiple company branches nationwide. Many current customers using this service include retailers with multiple locations, banks, insurances, conglomerates, etc. Satchel sizes and styles can be tailored to fit each customer’s needs. Satchels can be provided by TTPost and can be tailored to customer’s requirements. TTPost Couriers will retrieve mail from your company’s or private Post Office Box and deliver it to a predetermined address. The frequency of the services may vary to customers’ needs and is governed by a contractual arrangement. Many of our corporate customers that do P.O. Box clearances for also require Mail Pickup Services. Couriers will clear mail from your office and lodge at the National Mail Centre in Piarco for quick same-day processing. Like clearance services, the frequency of the services may vary to customers’ needs and is governed by a contractual arrangement. The service offers TTPost’s corporate customers, the ability to economically retrieve outstanding cheques from their customers. A listing of cheques to be collected is sent to TTPost the day before and those cheques are collect and remitted to the corporate customer the following day.